As a kid growing up in Sunday School, I was taught a lot of Bible stories. The teachers did their best to keep our attention on the application of the stories, but if I am being honest, the majority of the stuff I remember are just the stories themselves. One of them is the story of Abraham offering his son Isaac on the altar. If you are unfamiliar with this story I would encourage you to read it in Genesis 22. In verse 7, Isaac asked his dad while they were walking up Mt. Moriah, where the sacrifice was. They had the wood and the supplies to make a fire, there were plenty of stones for the altar, there was rope... but... Where's the sacrifice? Abraham replied that God would provide the Lamb. 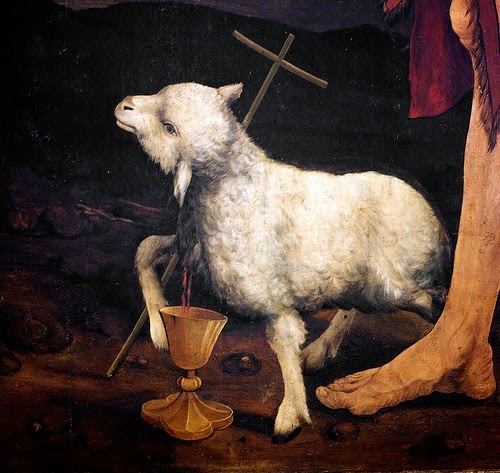 But God didn't provide the Lamb. What does the story say? A ram. A ram stuck in a thicket... or a thorn bush. All one would have to do is read the few chapters of Matthew from the triumphal entry on Sunday to the moment Jesus is arrested and you would be faced with the condition of the human heart versus the work of God in Christ. Look at the cross: we did that. The gospel writers, specifically Matthew and Luke in my opinion set up their readers with a dichotomy. The gospel reading contrasts the efforts of the Pharisees to trick and discredit Jesus, with the forceful resistance which Christ mounts against their evil. "Palm Sunday is a good reminder of how fast our hearts can move from “Crown Him!” to “Kill Him” when we don’t get our way." It means because of what Jesus did, we have power to to overcome the things we struggle with. I'm not just talking about sin. I'm talking about the things in this life that hold us back from our fullest potential. The things that consume our minds, that make us feel inadequate or unworthy of living differently. The Gospel says, it doesn't matter how terrible life may make me feel. Because, in Jesus, that isn't reality any longer. I watched "Whiplash" this past weekend. The movie is about 2 equally obsessive men. One is a music teacher, a man who emotionally abuses his students in horrific ways because he is so consumed with perfection. This obsession is matched only by Andrew, an aspiring drummer who will do anything to acheive perfection as well. We will sacrifice anything to get what we want. That's the way we were made. We have been created as "want creatures." We always go after whatever we want most, sacrificing anything that gets in the way. When God holds this place in our lives, we live without fear of man or death. When any created thing replaces the Creator, we continue the cycle of sin and brokenness, hurting others and ourselves. In the movie, Andrew alienates any potential friends, refuses to keep a relationship with the only girl who has ever liked him, and even goes to a performance after being blindsided by an 18-wheeler. All this because he wants to be the best drummer in the world. And he wants it more than anything else in his life. Think about your life. What is it that you're sacrificing? Whatever we're sacrificing is a good indication of what it is that we are worshiping above all else. And if you're like me, you often don't like what you find. I think it begins with acknowledging what (or WHO) we should be "wanting above all else." After that, the first step is simply...worship. So slow down...set a timer for AT LEAST 10 minutes, and pray through this Psalm. I've also included 3 questions at the end to help you reflect on where your worship is right now. The LORD is merciful and gracious, slow to anger and abounding in steadfast love. He will not always chide, nor will he keep his anger forever. He does not deal with us according to our sins, nor repay us according to our iniquities. What are you stressed/worried about right now? How did you see God move yesterday? is a Pastor currently living in Phoenix, AZ. He majored in New Testament Studies at Ozark Christian College. Born and raised in Texas, he grew up the third-born of 7 kids and loved (almost) every minute of it! He is happily married to his high school sweetheart, Breanna, and has two wonderful kids, Hannah Joy and Peter. More than anything, Evan wants to be a man who is marked by a hunger for God. Maybe you've seen the stickers, the t-shirts, maybe you have heard many sermons on the verse... but there are seven words found in the Gospel of John that have become one of the most looked up, favorited, memorized verses in all of scripture. Sure, I don't think it will replace John 3:16 any time soon, but John 3:30 is perhaps one of the hardest verses to truly put into action. What does it look like to take the words of John the Baptizer so seriously that it becomes our life motto, our driving force, even our goal for all of life? No matter what today holds for you, you are a child of God. And your Father loves to unleash blessing in your life when you seek Him. O Lord, grant me to greet the coming day in peace. Help me in all things to rely upon Your Holy will. In every hour of the day reveal Your will to me. peace of soul and with firm conviction that Your will governs all. Grant me strength in unforeseen events. Let me not forget that all are sent by You. Teach me to act lovingly, firmly, and wisely, without embittering or embarrassing others. Grant me strength to bear the fatigues of the coming day with all that it shall bring. Pray You Yourself in me. Wordy, I know, but this is what I am meditating through this weekend...unpacking what the authority of Scripture means to me. I know that I submit to it, I know that I believe it is the final word on matters. I know that it is God inspired... But what does it practically look like to say, "My authority is the benchmark of Holy Scripture"? For Augustine, it seems clear that as he searched for truth about God he was unable to get past these key characteristics of the Bible. This book, and the church's teachings continued to draw him in ever more and more. It was simple yet hard, easy to comprehend, yet deep enough to require days on end to process. What about you? What are your core convictions about Scripture? What passages have you read and they have just stuck with you ever since? When we hear that word a million things can come to mind. 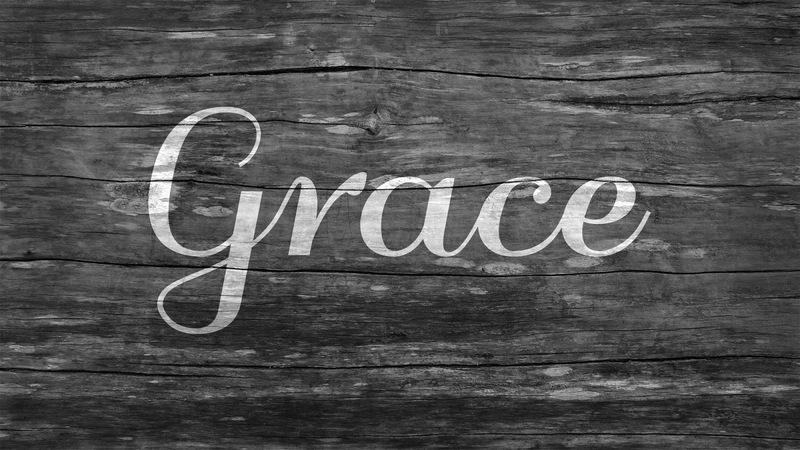 Grace can mean something so spectacular to some… and for others, no emotion is shown. 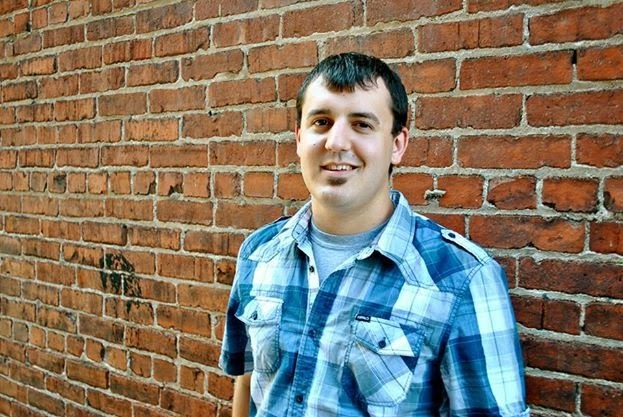 Luke Wright, a youth pastor from Phoenix once talked about grace being like porches to him. He’s had so many memories of porches in his life. Memories that bring the idea of being gracious or receiving grace. On his porch he has memories of selling lemonade on hot summer days, he has memories of his first kiss, he also had memories of where he had to receive grace… injuring his friends, his brother, lies he’s told… porches to him are where everything went down. Memories of good things, memories of things we regret. Memories that we love to relive, memories that we want erased… gone forever. And so grace to you may mean so many different things... to me grace is sometimes pictured as a car. I have so many memories of good things and bad things that have been in or around cars. Like having to ask for rides all the time from others because I couldn't drive, and then later on being able to provide rides to places for my friends. Conversations that have taken place. Things I've learned. Seen. Spoken. Felt. I had my first kiss in a driveway, next to my car. I was broken up with the girl I thought I would marry... sitting in her car. When I hear the word grace… I think about memories such as those. I had to learn how to receive grace. I had to learn how to give grace. How could a God so just and holy give grace to me… to you… to them… to us? John was born the 15th of 19 children to Samuel and Susannah Wesley. Susannah bore all 19, and she was the epitome of loving, faithful mother. Every week she spent time with each child, teaching them the Bible and the basic tenets of the Christian faith. When John was 5 years old, a house fire nearly took his life. He was on the 2nd floor, trapped between the flaming stairs and a roof that was about to collapse. Providence intervened that day when a neighbor, standing on the shoulders of another, grabbed John from the window and saved his life. From then on, John referred to himself as “a brand plucked from the fire,” sensing that God had saved him for something special. And he worked hard to be special. John attended Oxford, spending a great amount of time reading the early church fathers. When his brother Charles assembled a small band of students to take their faith seriously, John quickly became the leader. He directed the group with a plan of study and rules for prayer. As the group grew, and became the target of ridicule at the University, John took pride in his first experience of persecution. But even in this season of constantly trying to make his life conform to the Bible, John was restless. He had a profound lack of peace. He felt he needed something more. And that was what brought him to this voyage. General James Oglethorpe invited Charles to be his secretary and John to be the chaplain to the new colony of Savannah, Georgia. The two brothers quickly accepted and were soon aboard the Simmonds in October of 1735. However, just a few short days before they were to land in America, the ship ran into a violent storm. Suddenly, this 32 year-old Anglican Priest, this man who had worked so hard to serve God all his life, was filled with terror at the prospect of death. It was in that moment of crisis, when the only thing that John could see was death, that he looked across the deck and saw a group of men and women singing calmly. Some sang with their eyes closed, some looked out upon the waves, some looked up into the sky. In each face, John saw something. He saw… peace. Everything started that night. Everything began that night, on that hill. The crowd stood, jeering. Mary knelt, weeping. John held her close. Peter hid alone. The hope of the world, breathed His last. But everything changed within just 3 short days. See, while Peter was still engulfed with shame, and the rest of the 11 were immobilized by fear, locked up in some room, Jesus suddenly stood before them! 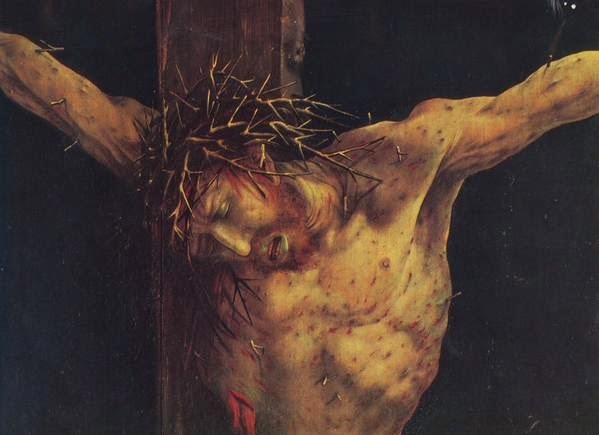 When they last saw him, he was dead on a cross. Here, death had lost its grip! Though this small group of 11 likely didn’t realize it at that moment, this event completely altered the course of history. For thousands of years, men had searched for some kind of salvation, some way to please God. For the first time in the history of the world, Salvation himself…stood before them. For the first time in history, the Good News was finally clear: Jesus Christ is Lord. Jesus. Yeshua. His very name means: God SAVES. The infamous journey of 18 inches. What am I talking about? You've heard it before. The journey of truth from the head to the heart. Getting things we KNOW to become things that affect the way we FEEL. It is perhaps one of the most difficult things we ever try to do. I have so much that I know in my head, but I have never had it change the way I live. Why? Exactly how do we make this journey happen? It happens when we slow down enough to come face to face with the reality of truth. It happens when we allow ourselves to think about what it is we know, to mull over the implications of it. The journey from the head to the heart happens when the heart is allowed to catch up with the head. So we come to our Wednesday Word. We can keep going with exegesis. Exegesis is incredibly helpful. However, I want us to take this week allow our hearts to catch up with our heads. The Gospel is the most weighty truth in all of Scripture. The Gospel is the one truth that will truly change your life. If you let it. So we collected 10 excerpts from Scripture to help us out. Take the time to read through each one of these. The repetition of truth will help you slow down to recognize the awe-inspiring reality of what Jesus has done for you. Are you ready? Let's take that 18-inch journey. Have you ever built a fire from scratch? If you have, you know how it goes. It's a pretty simple process. You forage through the woods for dry, dead wood. Once you collect all the wood you need, you stack it up in the fire pit and get ready for the fire. But with all the wood-stacking, all the pit digging, the fire will never start without a spark. It's much the same with us. Our life in Christ can look a lot like building a fire. We gather the wood, we stack it up in the fire pit. But a fire will never start in our hearts without a spark from the Spirit of God. You can stack all the kindling you want, but it's God who gives the fire. It's His presence, His Spirit, that lights our hearts with the flame of passion. Most mornings when I wake up, I feel some kind of deadness. I often am spiritually dry, cold, unfeeling. But it's the most dead wood that burns the hottest. When you come to the Word, as you approach your time of prayer, as you stack up that kindling around your heart, look to One who brings awakening to dead hearts. your right hand will hold me fast." "Weak. Dry. Hungry. Afraid. Nervous. Overwhelmed. Anxious. I cast these fears on You, my God. How I need You, O God, to breathe life into this dry spirit of mine! Awaken me, O Spirit. Let me hunger for You today. Capture me, Sweet Jesus. Show me Your glory. Draw me, Father. Keep me running after You. Shine the light of Your face. May each glimpse of You draw forth new praise from my heart. Draw me near. Keep me close. Faithful. Merciful. Glorious. Eternal. Love. Hope. True. Good. Holy. Kind. Awesome. Steadfast. Wise. Infinite. Ever-present. Light a fire in my heart. Let me burn for You.